As part of my sculpting efforts, I recently completed this piece, which was was inspired by, and honors the work of, Jesus Bautista Moroles. There were several “execution challenges” throughout the process, but in the end, I was pleased with the result. This is I/VII of a limited edition series. Burl Sun Disc - 16” diameter x 2” deep. Cherry and toasted maple burl, finished in tung oil. 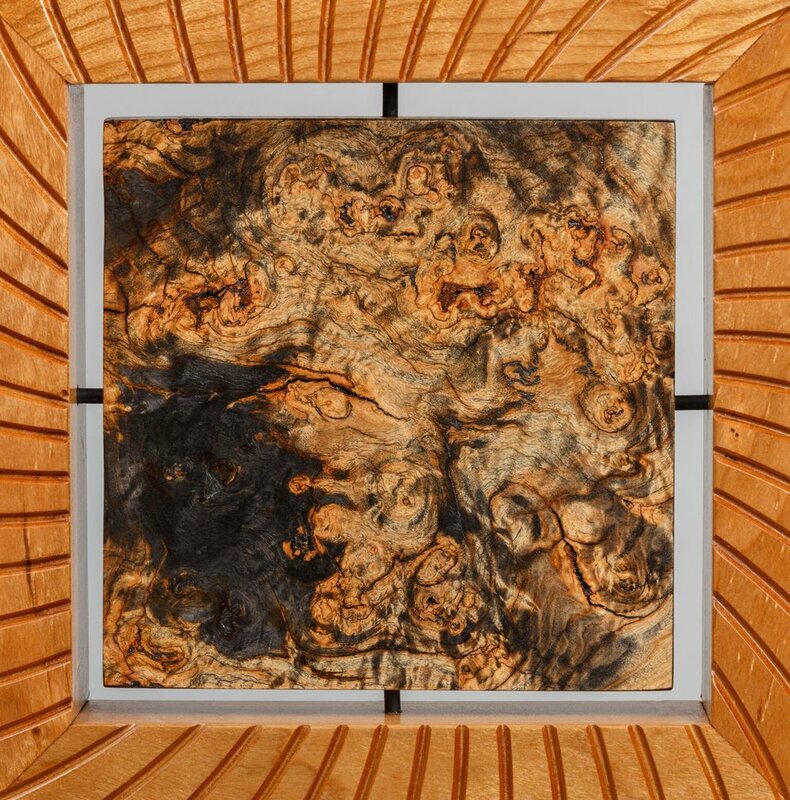 A shot of the detail involved with the toasted burl.